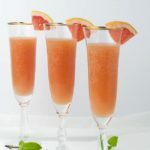 This sugar-free, non-alcoholic Grapefruit Ginger Mocktail is a natural 3-ingredient refreshing drink for adults and kids alike! 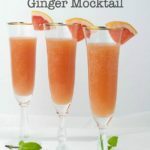 Here’s a Grapefruit Ginger Mocktail recipe for you today, and I know you’re going to love it! Do you want to avoid sugar, but don’t want to use artificial sweeteners like aspartame or sucralose? While it’s always better for your health to limit or avoid sweetened beverages, occasionally a chilled bevvie is welcome. Especially when everyone else is having a glass of wine or beer! I made this mocktail for Denis, who is avoiding both sugar and alcohol completely as he is undergoing cancer treatments. He gave it a two thumbs up! We recently discovered Zevia, a brand of soft drinks naturally sweetened with Stevia. While sodas are rare in our home, I decided to try this one for a special occasion. (This is not a sponsored post. I have no affiliation with the company.) While it has a slight aftertaste, typical of stevia, it wasn’t offensive at all. It added the necessary sparkle this Grapefruit Ginger Mocktail needs. This is a 3-ingredient mocktail recipe! 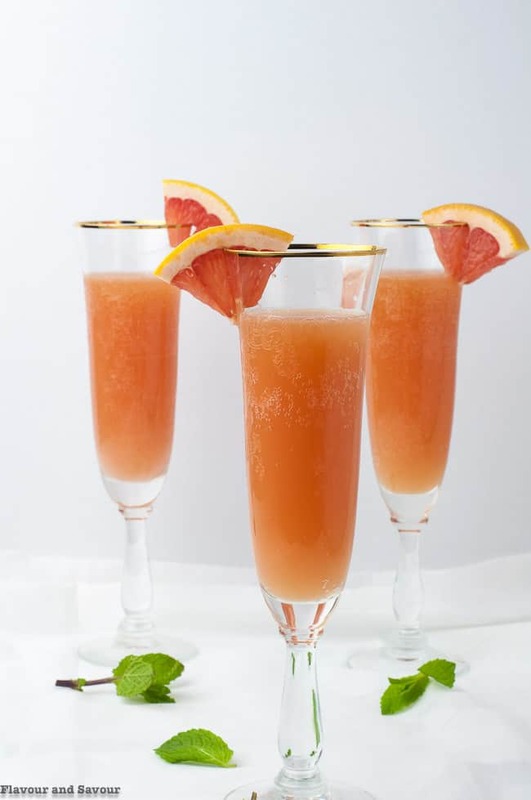 Pure pink grapefruit juice, organic ginger juice, and ginger ale naturally sweetened with Stevia are all you need to make this crisp, cool mocktail. It’s a little tart, a little sweet and it has a bit of a kick from the ginger. Definitely a keeper recipe. Where can I find ginger juice? I didn’t know there was such a thing as organic ginger juice until my daughter enlightened me. I’ve been using a splash of it here and there in all kinds of recipes ever since. It’s available in supermarkets and from Amazon. It’s ideal in this drink, because it eliminates the need to make a homemade ginger sugar syrup. Add equal parts of pure grapefruit juice and ginger ale to a chilled glass. Add a splash or two of organic ginger syrup. Taste and use more or less to your liking. 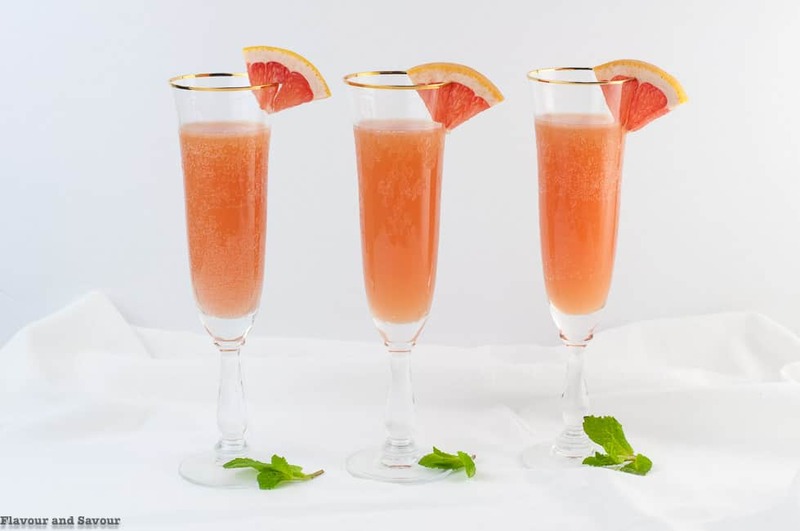 Garnish with a wedge of pink grapefruit or Cara Cara orange and serve. What’s the difference between ginger ale and ginger beer? Sometimes citrus cocktails like this one are made with ginger beer. Both ginger ale and ginger beer are non-alcoholic, but they don’t taste the same. Ginger beer has been fermented, while ginger ale is made by adding ginger to carbonated water. Ginger beer has a stronger taste than ginger ale. You can read more about the differences here. Of course, if you’re not avoiding sugar in your diet, you can use regular ginger ale. However you make it, I hope you like it as much as we do! Cheers! Add equal parts of grapefruit juice and ginger ale to a chilled glass. Add a splash of organic ginger juice. Garnish with a wedge of grapefruit or orange and serve. I made this as a pre-dinner drink yesterday! I knew that two of my friends don’t drink alcohol, so this was a great alternative. Kudos and requests for seconds all round! Thanks. You’re welcome! I’m so glad to hear you liked it! Thanks for commenting. 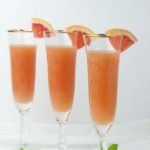 I’m such a huge fan of grapefruit so I know I’d love this mocktail! I bet this would be so good with a weekend brunch. And the colour is just so beautiful too! Thanks Dawn! That’s a great idea to serve it at a brunch! Love this idea and how it looks like a alcoholic cocktail! 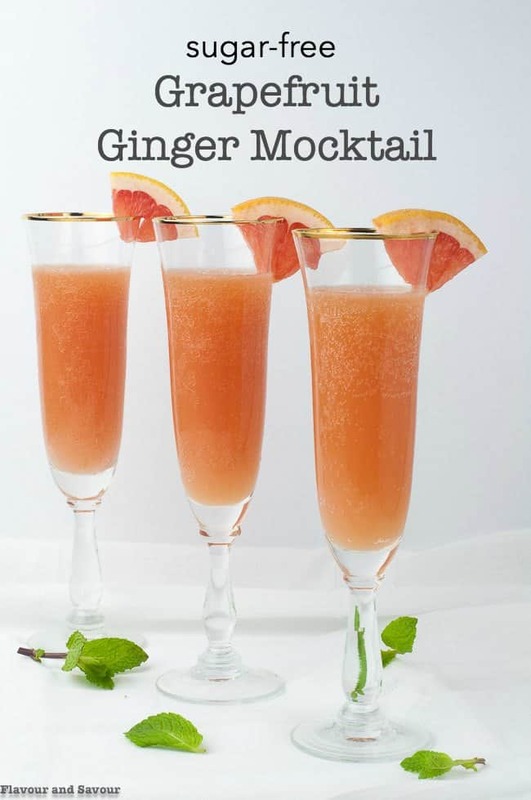 I’m a huge fan of anything ginger, and I love grapefruit, so this drink sounds perfect. Also, I didn’t know about Ginger juice, so thank you! Thanks Colleen, I’m a big fan of ginger, too, so I use the ginger juice in several different recipes! It makes this mocktail quick and easy to make. 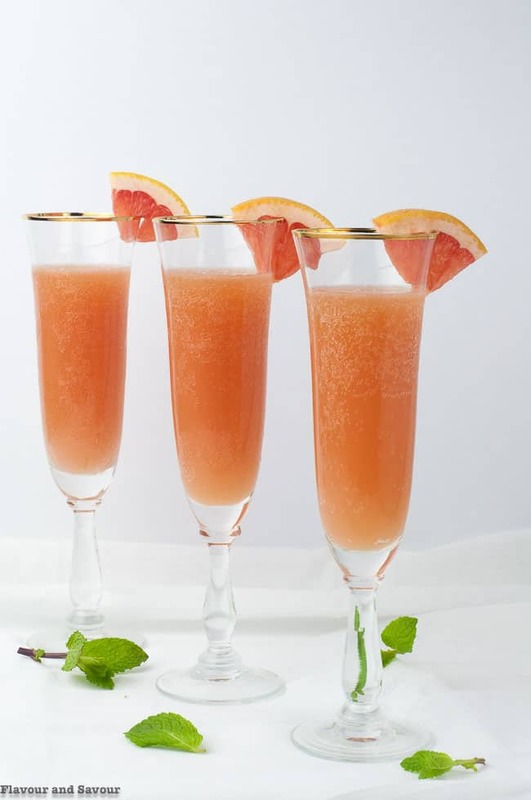 I love having pretty cocktails for brunch, and always try to have a fun mocktail too! This one is lovely, and would be perfect for guests of all ages! Thanks for a great recipe Elaine! I had no idea that you can buy organic ginger juice – I will look for it. 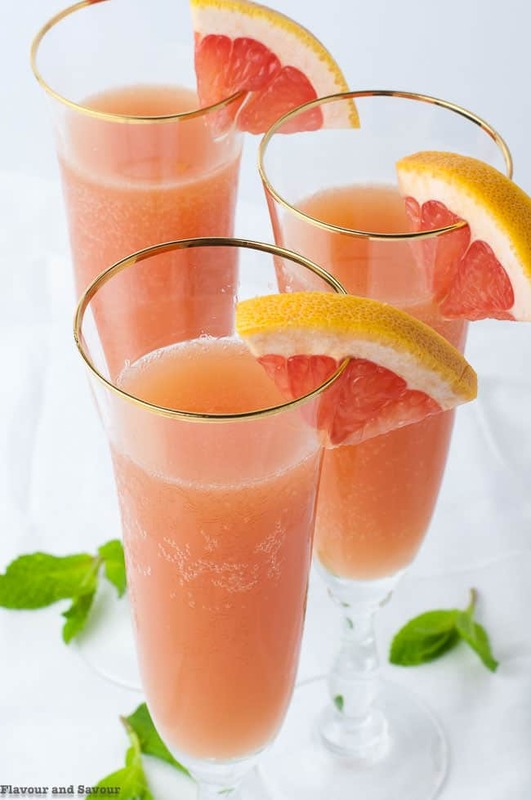 Your recipe for Sugar-free Grapefruit Ginger mocktail looks refreshing and delicious, not to mention a healthier beverage option. I appreciate your recipe inspiration, Elaine. Ginger juice is so useful, especially when you just want a little hint of flavour. It’s great added to green tea, too. Kids love it when they get a special drink, too! I haven’t tried it, but I’ll bet it would be great with vodka, too. Thanks for stopping by, Kristen! 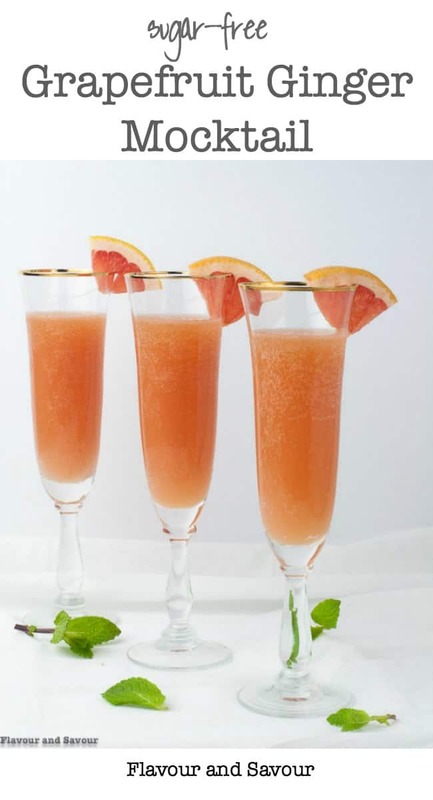 What a beautiful and refreshing beverage that would be lovely with brunch! My mama loves grapefruit drinks so I’ll have to keep this one in mind for her! Thanks Vanessa! This would be perfect for Mother’s Day Brunch!